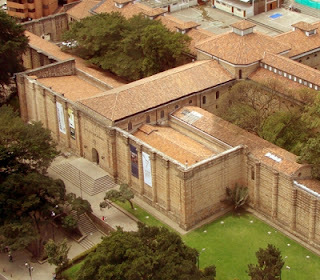 the national museum is located in what was previously a penitentiary. the penitentiary designed by the architect thomas reed. It was the country's prison for 72 years. restored and adequate with the architects Manuel de Vengoechea and Hernando Vargas. It was inaugurated 60 years ago. the building includes architectural and historical values ​​and beauty and solidity, the monument was declared a national monument in the 70s and today it is constituted as a cultural and arquitetonic icon of the city. The national museum was installed in the botanical house, which houses the largest collection of natural history gathered by mutis and cared for by its disciples. with the passage of time these pieces are part of an archaeological, historical and artistic character. 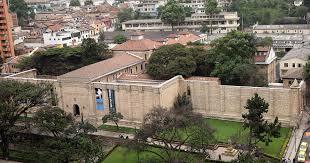 Throughout history the national museum has occupied several venues. until 60 years ago it is located in the old penintenciaria known as panoptico. he keeps among his acquisitions a very important sample of the different pre-Hispanic cultures of Colombia, documents of independence and an important collection of Colombian art of all times. 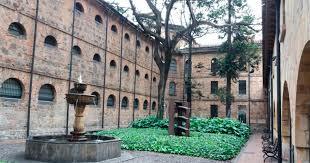 It is located in the international center of Bogota, and an area known as the Macarena. where there are countless restaurants with a varied gastronomic offer.